Apple and its excellent new iPhone 6, not so bendy iPhone 6 Plus and “one janky update aside” iOS 8 have generated huge news and buzz. However, Tim Cook’s Cupertino crew is just getting warmed up. While we’ve already had some Mac updates, Retina iMacs and MacBook Airs are in the pipe, as are new iPads for the next Apple Event. Earlier this year, when Apple launched its new low-cost 2014 iMac, pretty much everyone was disappointed with the HUGE performance tradeoff Apple enforced for a paltry $100 discount. Those holding out hope for more got a shot of optimism when the rumor of Retina iMacs sprang up across the interwebs this morning. The next Apple Event is expected next month. 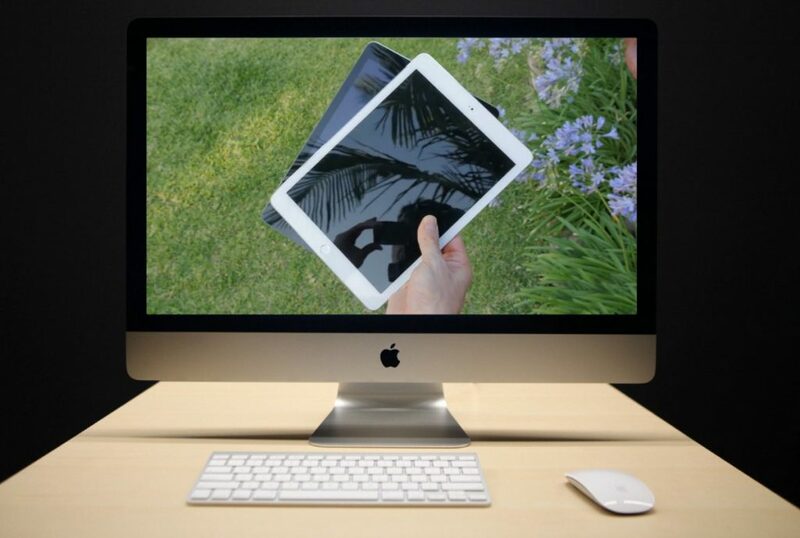 That said, Apple’s 21-inch iMac will remain standard definition. For what it’s worth, various sites continue to insist a 12-inch Retina MacBook Air is still coming, likely at next month’s Mac + iPad Apple Event. For a variety of reasons, the tablet market has lost much of its desktop PC killing luster. While more people are using iPads, often to replace traditional PCs in the home, both the adoption and replacement rates continue to disappoint. Why’s that important here? Fundamentally, there have been relatively few 2014 iPad, new iPad and/or iPad next rumors. Moreover, what reporting there has been has attracted little attention compared to recent years. Various sites continue to insist that the iPad Air 2 and Retina iPad mini 2 will both come to market with Apple’s widely praised Touch ID security functionality, as well as faster chips. While some suggest Apple will use an A8x (ie more powerful graphics) variant of the A8 chip found in the iPhone 6 and iPhone 6 Plus, though there isn’t agreement on this point. Similarly, there is disagreement about when the second gen Retina iPad mini, with some suggesting it won’t ship until 2015.